Starting on the 28th July part of Mansfield Road will be closed for Gas works. The work, scheduled to last for 3 weeks will directly affect access to the Daybrook depot from Mansfield road. Frank Key’s Daybrook Depot will be open as usual during the work. 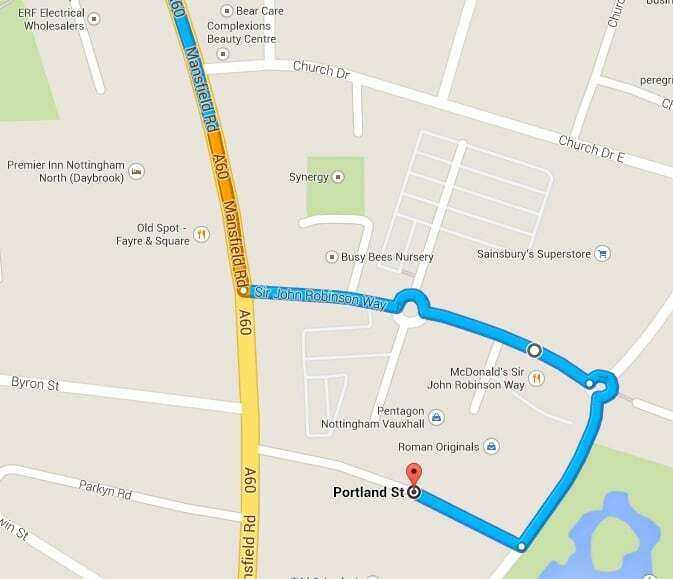 Below are a set of directions and a small map for customers to follow for an alternate way to access the depot. Access from Mansfield from the North of Nottingham (entering the city). Access from Nottingham approaching Daybrook Depot, heading North (exiting the city).